This package will create a DataType called “True Color Picker”. You may be wondering, what’s “True” doing there? Well I was looking for a color picker without the need to provide pre-defined colors. I saw the built-in Color Picker, but that’s not a color picker! It’s an approved color picker. 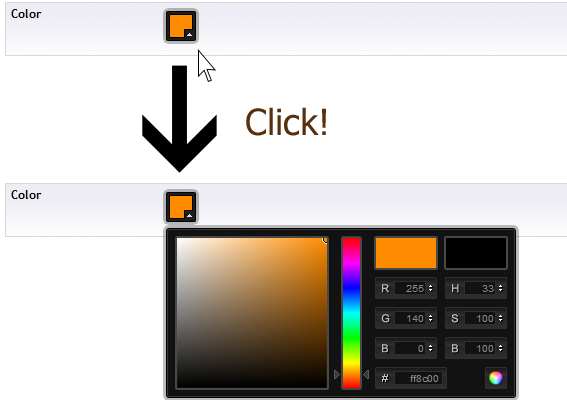 So I create a TRUE color picker. This entry was posted in Umbraco by kipusoep. Bookmark the permalink. Staat er ook een 4.5 versie op de planning.